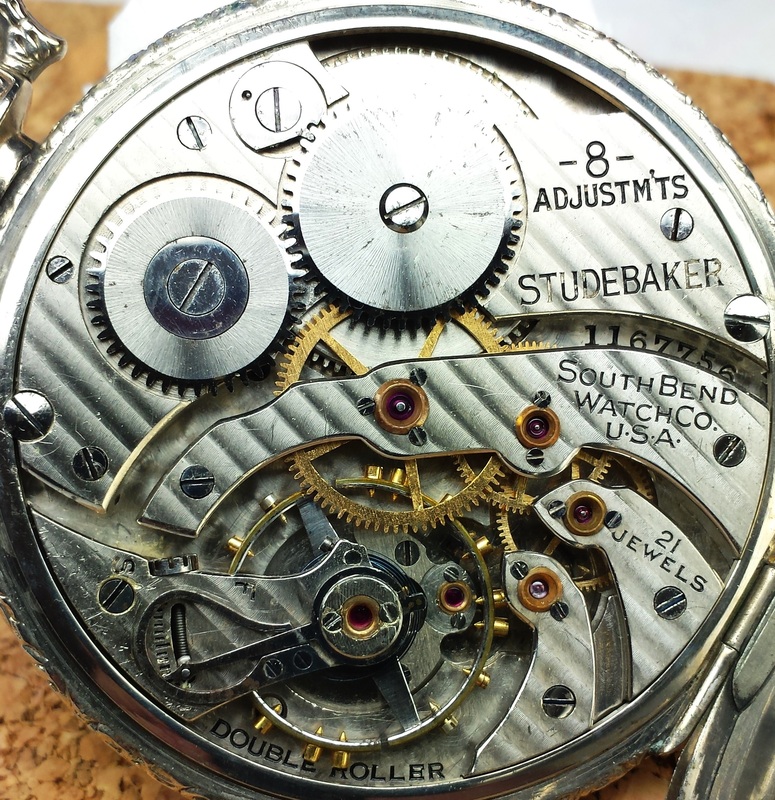 Rayed and beveled winding wheels, safety pinion, micrometric regulator, finest breguet hair spring, double roller, closely timed and regulated, steel escape wheel, 21 ruby and sapphire jewels, solid nickel plates, adjusted to isochronism, 5 positions, heat and cold, raised jewel settings, one click spring (on older pieces). There are 2 variants, with one piece click spring and late version same as for grade 429. Total production 60000. 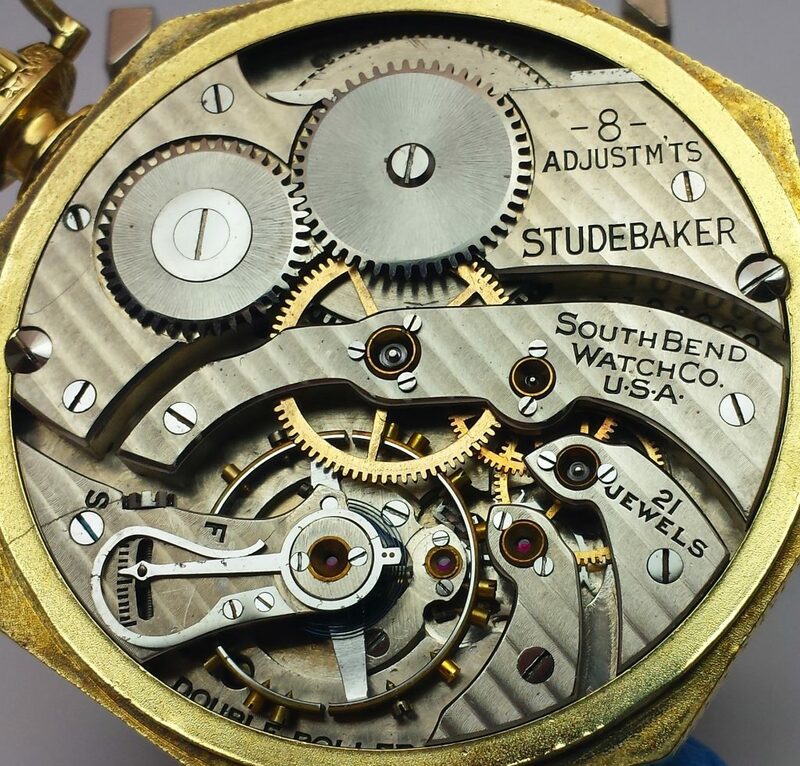 This was South Bend famous mail order watch, not to be confused with The Studebaker marked highest quality watches.